Established since 1990, this family operated business is committed to finding and servicing the appropriate garden machinery such as ride on lawn mowers to suit your needs. Looking for quality Lawnmowers at competitive prices? Redblade Mowers provide quality Lawnmowers for landscapers and gardeners throughout Lancashire. As specialist suppliers, RedBlade Mowers only stock premium reliable Lawnmowers. With a diverse product range from leading brands, we are confident that we will be able to ensure we supply the most effective product for the job. As the number one stockist of Lawnmowers in West Lancashire, Redblade Mowers have a proud tradition for suppliying reliable quality lawnmowers. We stock and supply a range of well established and reputable brands such as Husqvarna, Cub Cadet, Hyundai, Atco and Solis. If you know what brand you’re looking to purchase, then we have a section just for you where our gardening machinery is categorised by brand. Our compact tractors in Lancashire offer robust design, raw power and easy operation for both domestic and commercial applications. 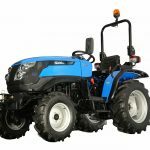 If you need a small but powerful tractor for municipal maintenance or if you have a large garden that takes forever to mow then a compact tractor may be the answer to your problems. These compact tractors can be used on smallholdings or equestrian businesses and have attachments that can be used for many different applications. If you are a landscape business then having a machine that does the work in quick time can allow you to increase your daily customers and raise your profits. We currently stock and supply garden machinery products including well established and reputable brands such as Husqvarna, Cub Cadet, Hyundai, Atco and Solis. If you know what brand you’re looking to purchase, then we have a section just for you where our gardening machinery is categorised by brand.